Back to "Questions and answers"
Advertising software (or adware) is downloaded and installed on your computer secretly along with a known application. Examples of such adware: Qvo6.com, Delta Toolbar, Conduit, Do-searches. Such applications are installed in your browser as extensions, and they change your default home page and search engine. 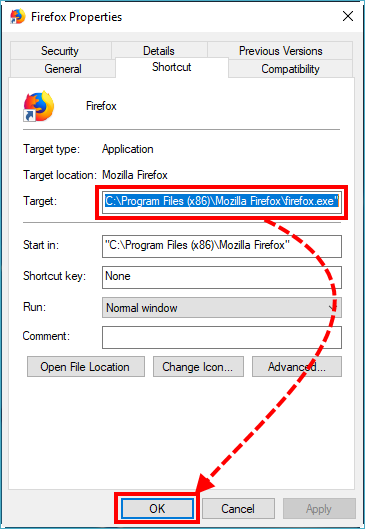 Your attempts to change the browser settings are only efficient within a browser session. The adware will apply its settings again once the browser is restarted. Enable detection of adware during scan. See the guide in the block below. Remove adware via Control Panel. See the guide in the block below. Remove the advertising extension from the browser. See the guide in the block below. Click in the lower-left corner of the main window of the application. In the Types of detected objects section, select the checkbox Detect other software that can be used by criminals to damage your computer or personal data. The scan settings will be set. 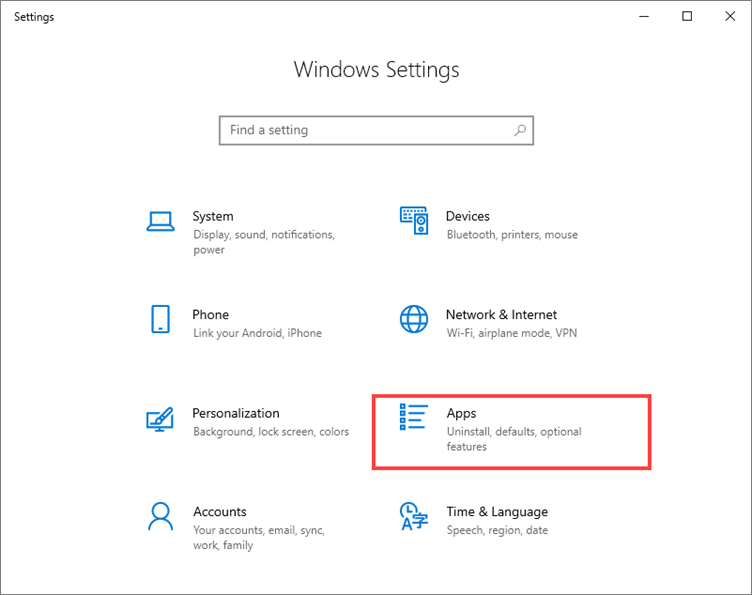 Find the application in the list and click Uninstall/Change. If it requires a confirmation, click Yes. Click OK in the notification that the application has been successfully removed. Adware will be removed from your computer. 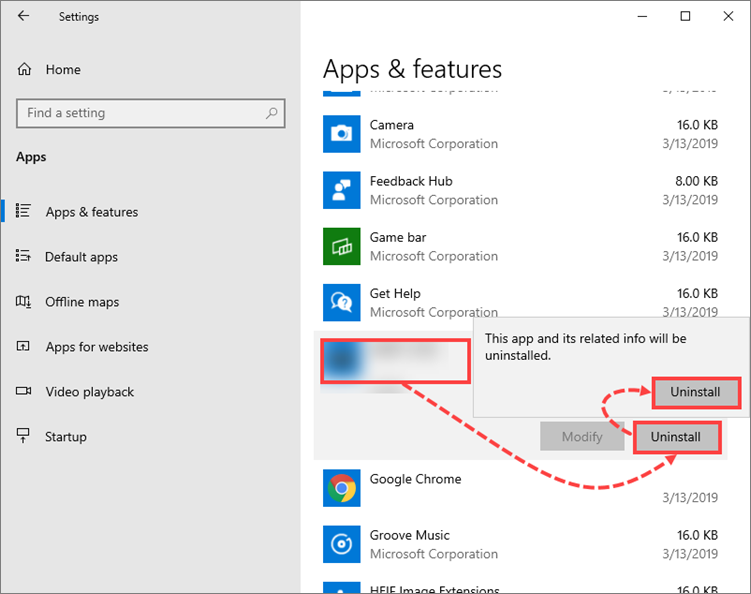 To remove the extension: See the instructions on the Microsoft support website. Select search provider needed and click Default. Restore the home page. See the instructions on the Microsoft support website. In Target field remove the text after «iexplore.exe». The extension will be completely removed from your browser. Remove the extension from the browser. See the instructions on the Google support website. Restore the home page. See the instructions on the Google support website. 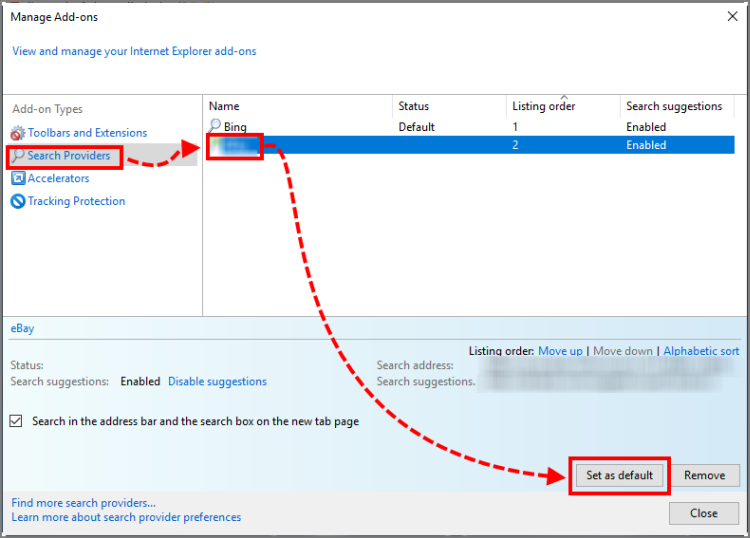 Restore the default search engine and remove the unwanted one from the list. See the instructions on the Google support website. In an address line, type chrome://settings/content/notifications. If you have an unknown website in the Allow tab, click the Other options button next to this website and select Remove. 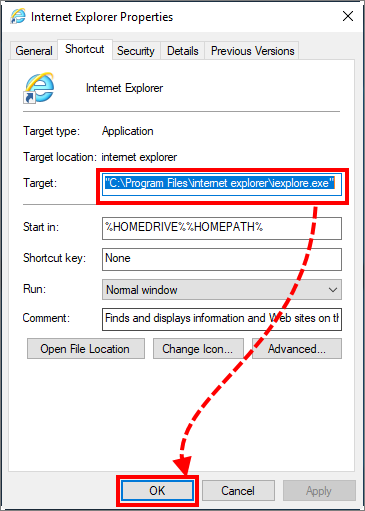 Right-click the browser shortcut and select Properties. In the Target field remove the text after "chrome.exe". Remove the extension from the browser. See the instructions on the Mozilla Forefox support site. Restore the home page. See the instructions on the Mozilla Forefox support site. Restore the default search engine. See the instructions on the Mozilla Forefox support site. Remove the unwanted search engine. See the instructions on the Mozilla Forefox support site. In Target field remove the text after "firefox.exe". Remove the extension from the browser. See the instructions on the Yandex support website. Restore the default search engine. See the instructions on the Yandex support website. 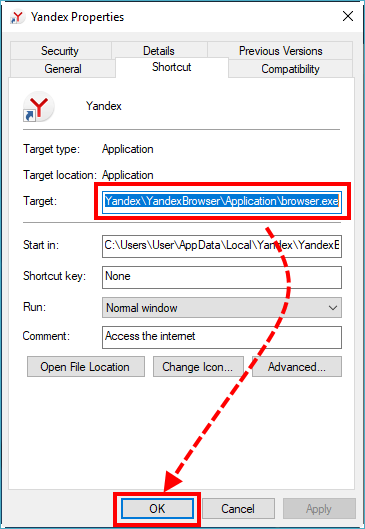 In Properties tab: Yandex in the tab Shortcut in the Target field remove the text after «browser.exe». 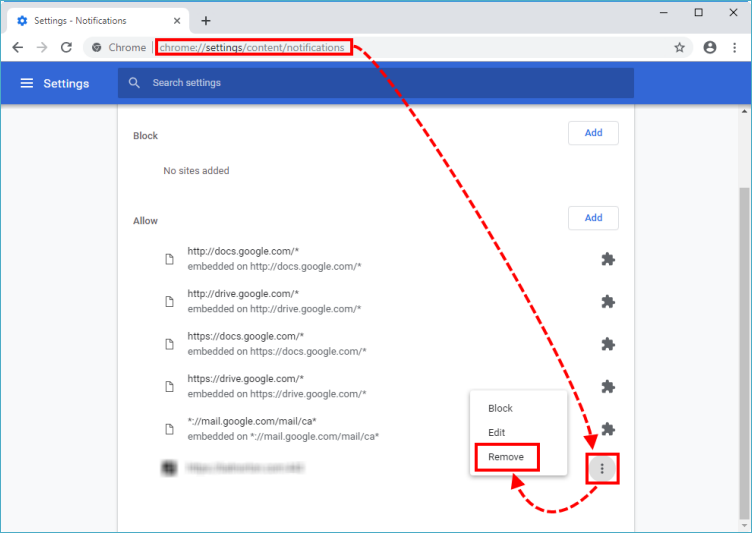 Select the checkbox Check the URL against the database of URLs containing adware. Your PC will be protected against the unwanted adware installation.